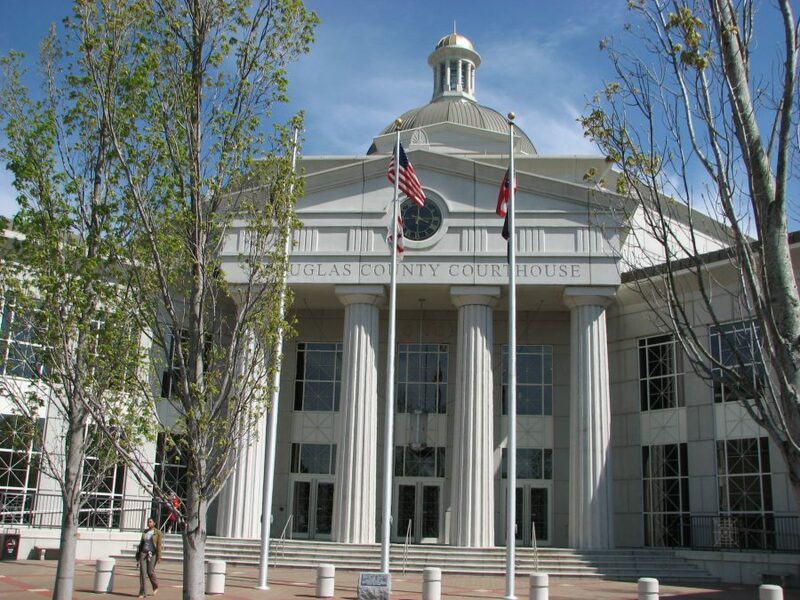 Douglasville is the county seat of Douglas County, and it’s one of the fastest-growing cities in the Atlanta Metro Area. Between 2000 and 2010, the city has seen its population grow by more than 10,000. Perhaps more importantly, its growth continues to this day, largely in part due to the fact that Douglasville offers a balanced blend of small-town atmosphere and big city entertainment. The city’s motto, “New Growth, Old Charm, Always Home,” is a perfect representation of what it’s like to live here. More people in Douglasville rent than own their homes. In fact, renters account for 57 percent of the population, versus 43 percnet homeowners. The median rent in the city is $1,000, which is just slightly higher than the national average of $949. The median home value in Douglasville is $153,500, which is lower than the national average, currently $184,700. The most popular home styles here are the ranch, raised-ranch, and craftsman. Douglasville lacks a public transportation presence, so transportation and commuting typically happens by car. This is made even more convenient because U.S. Highway 78 runs directly through the city, east to west. Living in Douglasville also provides you with easy access to several other major roadways, including Interstate 20 and State Routes 92 and 5. Historically, Douglasville has been a mostly African-American community and although it is becoming more diverse, African-Americans still account for 64 percnet of the population. Douglasville has a female majority with women outnumbering men by 10 percent. It’s also an educated community with 66 percent of its adults having attended some college or at least earned their associate degree, and 31 percent of those having earned a bachelor’s degree or higher. Douglasville’s population is rather evenly spread across age groups with the three largest sectors (accounting for 15 percent each) being adults aged 25-to-24, adults aged 35-to-44, and children under 10 years of age. Douglasville’s income is near the national average with a median household income of $51,039, compared to $55,322 nationally. The median individual income is slightly-higher, with Douglasville’s averaging $27,679 and the national median coming in at $27,419. Unemployment is currently high in Douglasville at a rate of 7.8 percent compared to 3.8 percent at the national level. Dining out in Douglasville gives you plenty of places to choose from with most being in the moderate price range. Creole and Cajun are popular tastes in this city, and you’ll find they’re wonderfully represented at Gumbeaux’s, a Cajun Café and Burke’s Grill. Italian food is also plentiful with Fabiano’s Italian Restaurant and Sam and Rosco’s. There’s also Thai food at Taste Of Thai, Irish standards at Irish Bred Pub and fresh seafood at Sea Breeze. For cheaper fare, there’s the barbeque at Hudson Hickory House, the excellent brunch and lunch menus offered at Thumbs Up Diner, and the local burger institution, Bubba Mac’s. When it comes enjoying a great meal at a great price, Douglasville has many, many excellent choices. Douglasville also has an energetic nightlife for you to enjoy. Uniq Lounge is a hookah bar where you’ll also find pulse-pounding music and laugh-out-loud comedians. For a great wine selection, good food, and an evening of art, try Blu Rose Art Bistro. There’s also several sports bars where you can catch the big game, including Topps Sports Bar & Grill, Joey’s Bar & Grill D’ville, and Mr PJ’s Buffalo Wings. Douglasville enjoys a wonderful arts scene and it has more than its share of things to see and do. For the best in art and local history, visit the Douglas County Museum of History & Art. Or, for performing arts, galleries, museums, and more, there’s the Cultural Arts Center of Douglasville/Douglas County. Arbor Place Mall is where you’ll find the area’s best shopping and movie theater, and you can take a tour of Douglas County’s history in Hollywood on the Douglas Country Film Trail. You’ll see many familiar sites from some of your favorite movies and television shows, like The Hunger Games, Stranger Things, The Walking Dead, and more. Douglasville also has several parks where you can enjoy all manner of outdoor recreation, such as Robert G. Hunter Memorial Park and the Clinton Nature Preserve. Seniors living in Douglasville will find plenty of activities, events, and programs at the Woodie Fite Senior Center. From fitness classes to painting classes and from pinochle to special day trips, the senior center gives local seniors a sense of belonging and a welcoming environment where they can make friends and build relationships, all while keeping themselves mentally and physically fit. Douglasville’s seniors also have easy access to excellent medical care because the community is served by WellStar Douglas Hospital. Also nearby are West Georgia Psychological Services, Piedmont Heart of Douglasville, and Kaiser Permanente Douglasville Medical Office. Douglasville offers new residents the benefit of affordable housing, a low cost of living, good public schools, an active nightlife, great restaurants, and plenty of fun things to see and do. If you’re planning to relocate to the Atlanta Metro Area, then this fast-growing suburb, that continues to retain its old-fashioned charm, is definitely one to consider. Looking for information about the Atlanta housing market? Sign up for our FREE home trends updates sent directly to your inbox!